Prominent & Leading Manufacturer from Mumbai, we offer paper trimmer cutter, a4 paper trimmer cutter and guillotine trimmer cutter. We provide our clients with a huge gamut of Paper Trimmer Cutter throughout the nation at affordable prices. These multi-functional rotary cutters are inclusive of three kinds of cutting styles along with optional replacement cutting head that help the user cutting A4 papers easily. Apart from this, our wide range is known for their durability, optimum functionality and corrosion resistance. 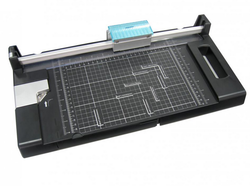 Superior quality A4 Paper Trimmer Cutter is provided in the Indian market that can be availed as per the requirements. This cutter is available in three-in-one cutter head with an extended plate that makes the trimming smoother and easier. The round corner cutters provided in these products are capable to offer absolute convenience for round angle. An assortment of Guillotine Trimmer Cutter is offered by our organization at reasonable prices in the market. These cutters are portable designed, easy to carry with low maintenance and provide efficient functionality. 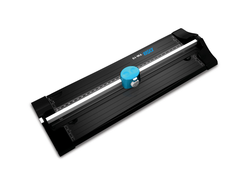 Moreover, the products we offer are equipped with transparent pressing rail to protect fingers of the users. These products are most suitable for SOHO and general office usage. 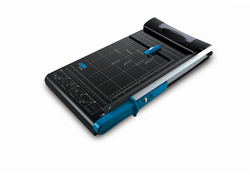 Looking for Trimmer Cutter ?